Thanks to Simon Feasey for this Fease Report. It was another perfect weekend of discgolf at the beautiful McLaren Falls Park with 18 keen players enjoying the superb weather. Tauranga TD Myles Darral did a stellar job as usual and the slight changes to the course saw some impressive scoring and unprecedented round times of 2 – 2.5hrs, (early extreme courses would see rounds of over 5 hours ) which meant there was plenty of time to enjoy the stunning natural beauty of this park. 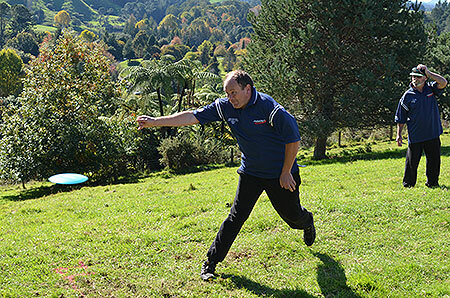 Congratulations to everyone who played, especially to Rotorua Disc Golfer Logan Papuni who took out the ‘Open Championship’, his first championship win on the NZ Tour to date. It’s been great to watch Logan go from strength to strength with each tournament he’s played in, obviously the old adage of time spent doing it is paying off for this Disc Golf addict. Good skills Logan. The overall winner and Masters title went to the local favourite Dean Marshall who seems re-enthused for our great game. First round leader SGM playing in GM Pete "Flick" Boyle took out the Grand Masters and local BOP evergreen Ming Menzies won the Women’s silverware. I feel I need to report there was one avoidable incident that marred a great weekend of Disc Golf for some - easily avoidable in the future by following basic rules. A group had a score discrepancy that wasn’t picked up until after the round and the cards were signed and handed in. With a simple step this could have been avoided in my mind: if at the end of each hole the scorer should ‘vocalise’ the scores for each individual (including the scorer him/herself). Any issues regarding what was scored would be resolved there and then or highlighted for the TD to rule on. Mistakes do happen in the heat of the battle so it’s important we put steps in place to make life easier for everyone. 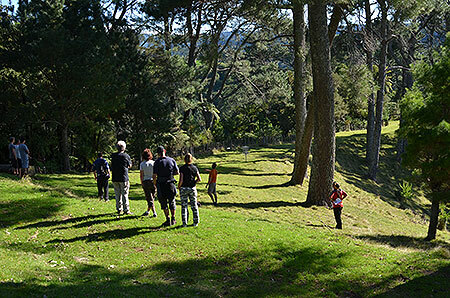 Anyway thanks to Myles and the Tauranga crew for a great weekend in a stunning Disc Golf environment. 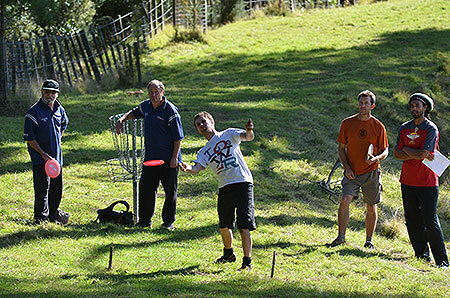 The Tauranga Xtreme Disc Golf Classic 2014. It was another perfect weekend of discgolf at the beautiful McLaren’s Falls Park with 18 keen players enjoying the superb weather.. Miles did a stellar job as usual and some slight changes saw great scoring and unprecedented round times of 2 – 2.5hrs (early extreme courses would see rounds of over 5 hours - ed.)! There was plenty of time to enjoy the natural beauty. 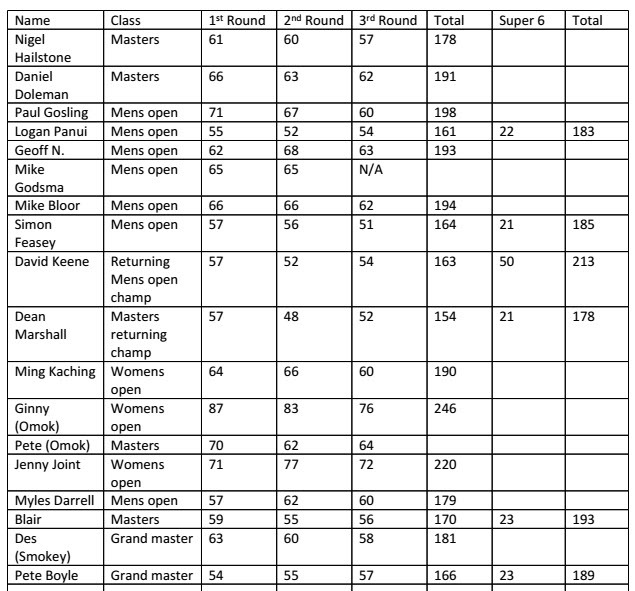 The overall and Masters title went to the local favourite Dean Marshall and then Open to first timer Logan Papanui also from the Bay of Plenty area. First round leader SGM playing in GM Pete "Flick" Boyle took out the Grandmasters. Ming Menzies won the womans and there were 18 players. There was one incident that marred a perfect event and it can be easily avoided in the future by following basic rules. The lead group had a score discrepancy that wasn’t picked up until after the round, this resulted in the player being disgruntled and leaving early. With a simple step this could have been avoided in my mind: if at the end of each hole the scorer vocalises the scores for each individual (including the scorer him/herself) any issues regarding what was scored would be resolved there and then or highlighted for the TD to rule on. Then there would not be this I-can’t-quite-remember issue. Anyway thanks to Miles and the Tauranga crew for a great weekend. 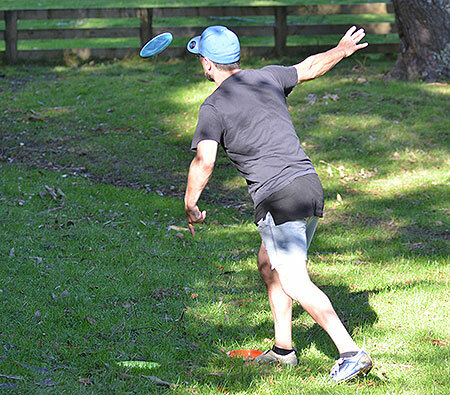 Champ - Rotorua Disc Golfer Logan Papuni on his way to his first Open win on the NZDG Tour. Team Taumarunui - The Lost Tribe’s Blair Joines gives it heaps as Pete watches on approvingly. Pull Action - Blair Joines puts in an effort. 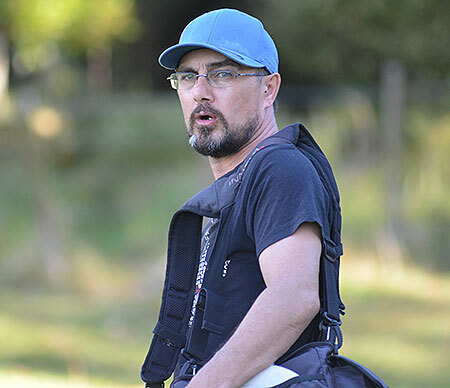 Moving Up - Rotorua Disc Golfer Logan Papuni impresses the gallery as he heads towards his first NZDG Tour Open Division win. Cosey Tee - Tauranga TD Myles Darral keeps a close watch on the progress of the ‘Super 6’. Is that hair cream? 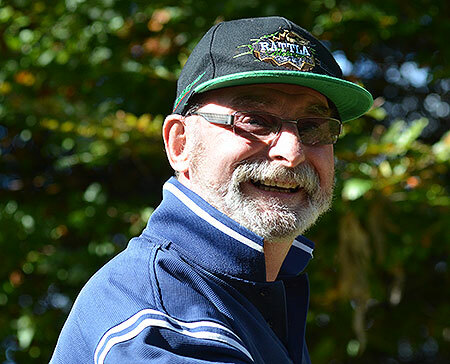 - Re-enthused for the game Dean Marshall kept his concentration up to take out the Masters and over-all Titles. 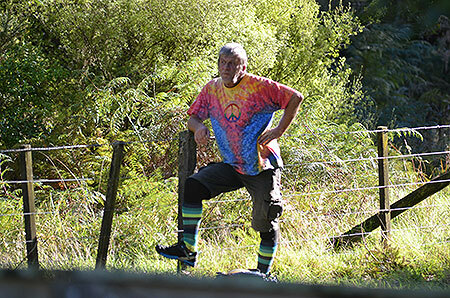 Kiwi Icon - National Park golfer Des Cooper checks out progress of the Super group. 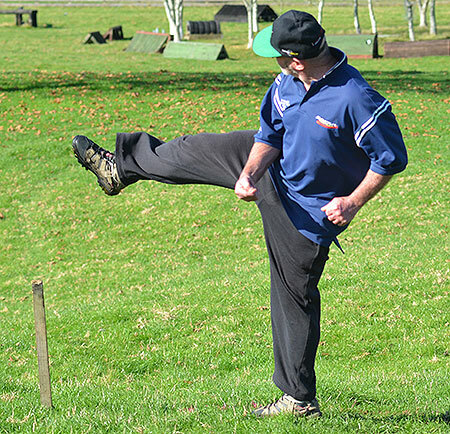 Seagull Stance - Hard to believe Taumarunui’s Pete Boyle entered the ranks of Senior Grand Master this year and he’s still pulling off moves like this! Golf Gallery - The ‘Super 6’ gallery watches Simon Feasey plays up to the basket. Ben Darround - Logan Papuni flicks one around the corner as his ‘Super 6’ playing partners look on. Pete Boyle - The smiling assassin! 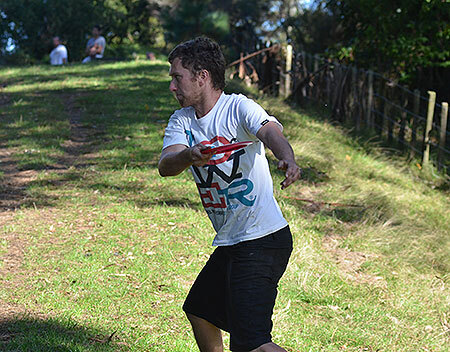 The Dean Scene - Local BOP Disc Golfer Dean Marshall was just too good for the chasing pack. Released - After cutting his teeth on the tightly wooded fairways of Rotorua’s Redwood course Logan Papuni was enjoying the wide open spaces of McLaren Falls. Super 6 - Dean Marshall, Pete Boyle, Blair Joines, Simon Feasey and Logan Papuni under the watchful eye of TD Myles Darral. 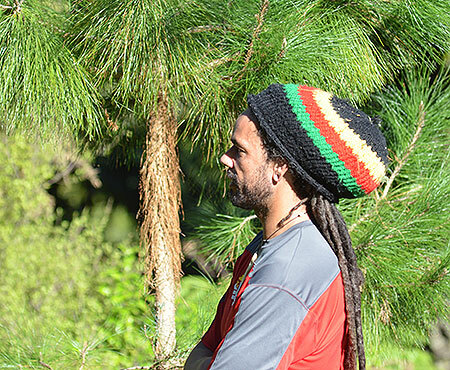 Level Release - Lost Tribe Disc Golfer Blair Joines is all concentration. You Can't Fence This Guy In - Sights set! The style of a champion. Local Tauranga golfer Dean Marshall on his way to another NZDG Championship win. 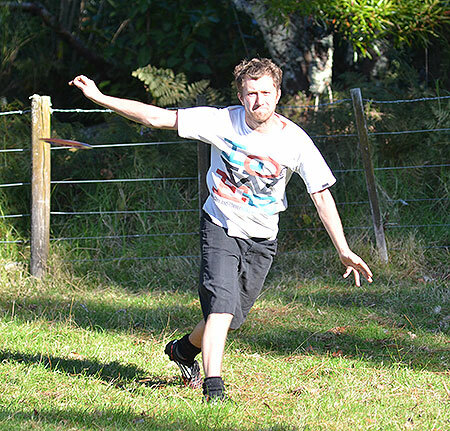 Kneel Kneel Orange Peel - Auckland Disc Golfer and Multi NZ Champion Simon Feasey not quite slotting into his usual groove over the weekend. ‘V’ is for Victory - Dean Marshall shows the style that took him to the Masters Championship and the top of the podium position for the weekend.